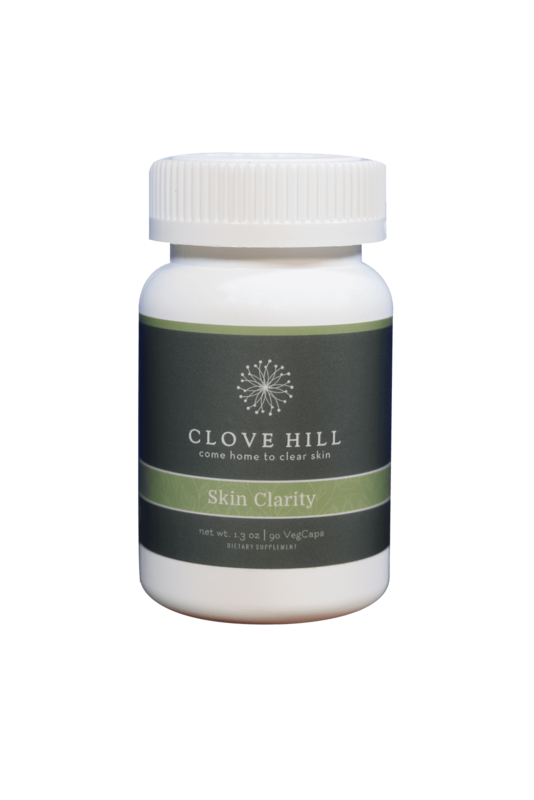 Clove Hill’s Skin Clarity is specifically formulated for acne-prone skin*. Believe it or not, many supplements for acne actually trigger more acne. Skin Clarity is guaranteed to not cause breakouts and will help dissolve acne at its root. This herbal formula with added Beta Carotene helps fight acne from the inside-out and prevent against further skin problems. No added iodine or biotin, which trigger more acne!